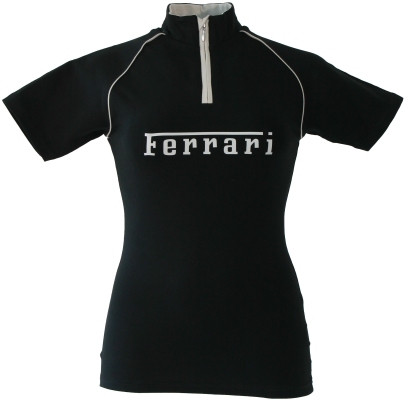 Black Ferrari Ladies Race Top with Ferrari Script Logo and Zip. Raglan sleeve, concealed zip neck top in Cotton / Elastane. Contra-color piping to raglan, zip welts and inside neck. Ferrari transfer to center chest.